Micheal Akingbala gives a double dose on this one. The OHR signed artist proves one point, that he is indeed the son of the rock. Micheal sours in this double release. Jesus Agbara Mi is a song that tells us about the immense power of God. Micheal reflects that his source is God and he is the reason he lives. This song has the ability to make you trust God more. Beautifully produced by uprising super producer qasbeatz. Gbemileke, produced by same suspect, Qasbeatz takes it further, string infused up tempo rock sound, Micheal sets a groove on this one. Its a song of praise to the Almighty. This is one track that will definitively get you moving. 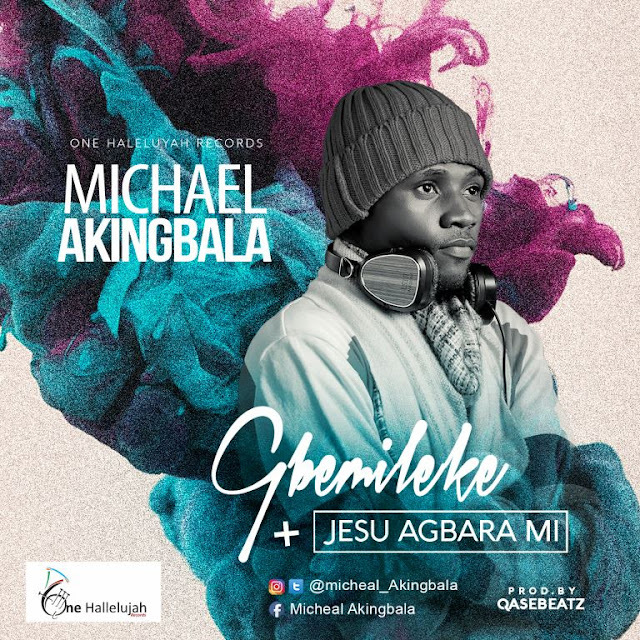 Micheal Akingbala is fast setting his pace as a force in the gospel rock genre. Micheal excellently delivers on this one, even If you don't like rock as a genre , be warned. Michael's sound will definitely win you over.